Whenever I get emails like, “Can I earn $10,000 in two months if I start a blog?”, it’s evident that someone thinks that this is a shortcut to riches. You are not going to earn ten grand in the first month of blogging. Like any other business, blogging requires a lot of work and IT TAKES TIME. I made my income in the third month ($300), though it was very less, it was a start. I learned a lot of things, worked hard on my blog to grow that income. You are not going to earn an income from your blog just because your registered a domain name and wrote your first post. The biggest thing I like about blogging is, your hard work is directly related to the success you achieve. It’s as simple as that. I love learning new things. Blogging perfectly satisfies my need to learn new things everyday. You cannot excel in this business if you are not inclined to learn. Like any other business, the need to explore new strategies, implementing and testing them is necessary for blogging. You cannot complain that your blog isn’t growing or you are not earning an income without trying anything. I understood this very early on in my blogging journey, and I have invested in some fantastic resources which have helped me to get here. There isn’t a day where I am not thinking of something new to work on with my blog or learning something new. So, explore and try new things, and you are on the right path. Well, it may be for some but not for the majority. You cannot and should not expect to go from 0 to 100,000 page views in a couple of months. That kind of growth is not going to be stable. For example, whenever my page views spike big, I know that they are going to go down quickly. Sometimes, growing slowly and steadily works better. Whether it is your income or traffic or getting your brand out there, it’s not going to happen overnight. There are two sides to this thought. There is a constructive comparison and a negative comparison. I would say if you are comparing yourself with some of your peers, then do it healthily. Get inspired by their growth, learn from them. But most of the time this is not the case. You end up thinking why you are not doing as good as your blogging friends. Comparing yourself to others in a negative way can slow down your growth. Instead, push yourself hard in the areas where you are not growing. Find out what the problem is and work on it. There might be a million reasons a blogger is growing faster in their blogging journey than you. They might be working more harder or diversifying things or thinking of new strategies etc. If you brainstorm and implement strategies to grow your blog, you can reach there as well. I cannot stress on this enough. Making money from blogging is possible. 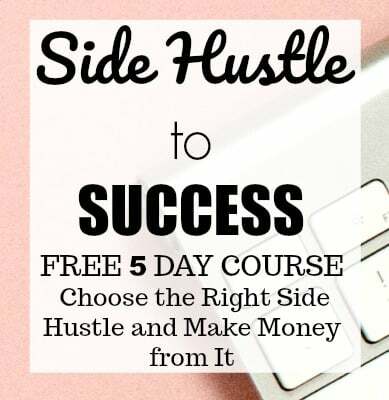 It is possible to make money blogging for stay-at-home moms, students or anyone who wants to create a significant income stream from home. You do not need any expertise for this. The only thing you will need is the willingness to learn things. I am a stay-at-home mom with a work-at-home job. 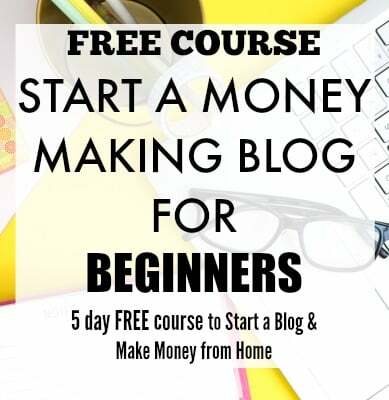 Blogging has been giving me an additional source of income since a year now, and I highly recommend it to anyone who wants to earn an income from home. I have seen a lot people who doubt about the income potential of blogging. It’s not limited to a particular niche or blog topic. If this is something you want to do, just start. Though it gives you a lot of flexibility to work from home and be location-independent, you will have to network a lot in blogging. Networking can be beneficial in many ways. It can give you more exposure to get new opportunities, meet new people in your niche and learn more. I know it is hard for some to do this. But on the brighter side, if this gives you a better chance to grow your business and reach more audience, you should do it. Building a business takes a lot, and this is one of the ways to do it. I have personally met some amazing people online since I started my blog. You would be really surprised how supporting this blogging community is. There is a risk in any business. Before you start blogging you need to understand that all your months will not be the same. Some days you might get good traffic, some days it might flat. These things happen, and it’s normal. You are not going to see an upward trend all the time; there will be few bad days too. That’s how it works. I have some great income months and then some low months. I am ok with that because though getting a significant income is one of my goals; I love blogging for many others reasons like helping people in my niche and writing about what I love. So, working on it all the time gives me joy. You have to be prepared for the ups and lows when you sign up for this. 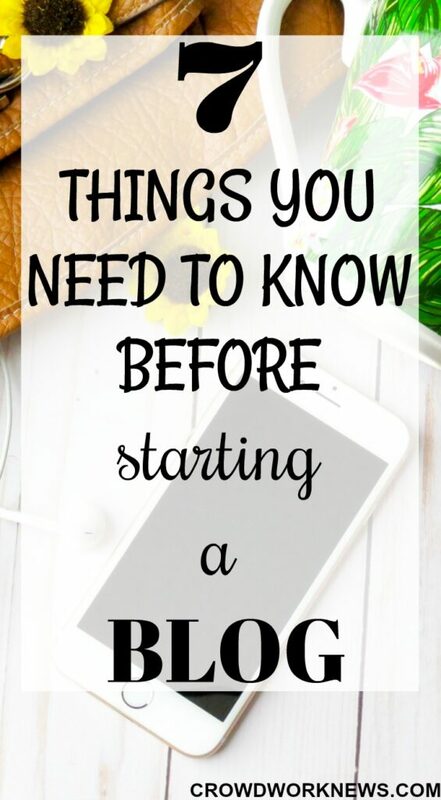 You need to consider all these things before you start your blogging journey. Personally, I LOVE BLOGGING. It has given me infinite opportunities to increase my income, network and make new friends and above all, the freedom to work from home and own a thriving business. What do you say, my work-at-home enthusiasts?